Sedona is pregnant! Can’t you tell? Yeah, me neither. Well I can tell because her udder is developing and I can feel the kids kick. 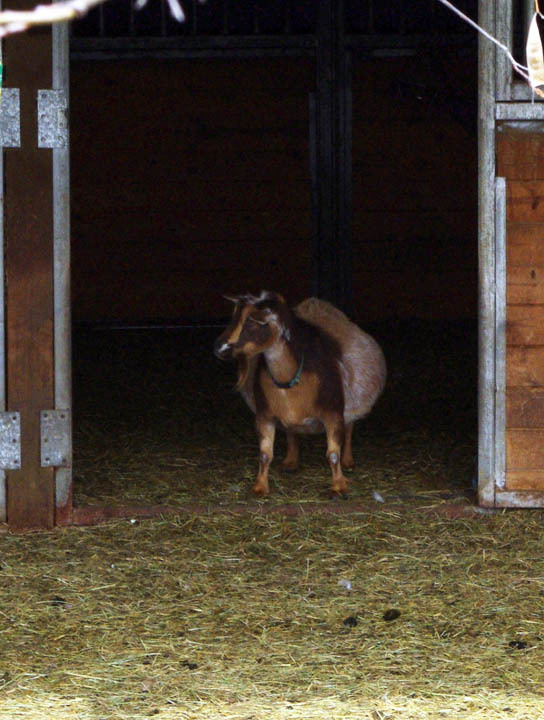 Every goat is different and you can never tell just how many they are hiding. Remember Infinity at Castle Rock Farm from Tuesday’s post? 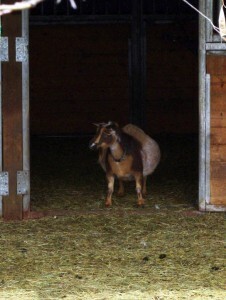 She only had one doeling who now lives at Curbstone Valley Farm. She looks like she could have popped out sextuplets just because of her size. 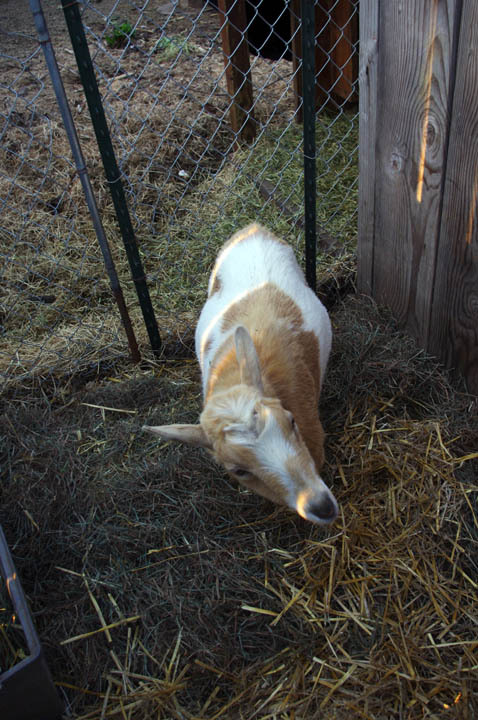 Sedona, on the other hand seems to hold the kids differently than other goats. Rather than spreading laterally she seems to drop down. Her belly is obviously closer to the ground now than when she first came here. 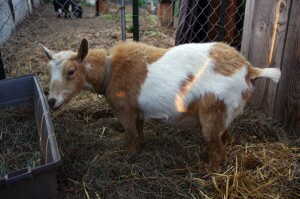 Sedona’s due date is tomorrow but she can give birth anytime from now on. I miss having kids around and I hope everything goes well. I wouldn’t be surprised if she was hiding triplets in there! Last year she didn’t look pregnant at all, and was hiding triplets. Her best pal Tux was huge, and also had triplets.